The cultural relationship between India and Indonesia dates back from our ancient arena as evident from the art and architecture remnants found in Indonesia. The ties dated back to the times of Ramayana as the name Yawadwipa (modern Java) found mentioned in the epic Ramayana. The ancient Indians spread Hinduism and many other aspects of Indian culture including Sanskrit and Brahmi script, the name Indonesia derives from the Latin words Indus, meaning India, and the Greek nesos, meaning Island. Sanskrit inscription were also found at Batu Tulis near Bogor, Joko Dolog in Surabaya, and in an Iron Pillar at Sanur in Bali. Borobudur the largest Buddhist complex and Prambanan the largest Hindu temple near Yogakarta in Indonesia, that was build during 8th to 9th century shows finest example of Indo Javanese architecture, Baiturrahman Grand Mosque in Aech and Medan’s Great Mosque, shows influences of Mughal architecture. In the open theatre of Prambanan in Java, Javanese Muslims performs the Ramayana dance during full moon nights. Rabindranath Tagore visited Java and Bali in 1927. Raden Mas Noto Suroto, a Javanese writer, was so influenced by Tagore that he named his eldest son Rawindra, after Him. K.H. Dewantara, a famous educationalist of Indonesia, established a school influenced by Shanti Niketan, called Taman Siswa in Yogakarta”. The 1945 constitution explains the State Emblem of Indonesia is the Garuda Pancashila, with the motto Bhineka Tunggal Ika- which means “unity in diversity’’. Although the 90% of the Indonesian population follow Islamism, Indonesia had never failed to uphold its secular images. The founding father of India and Indonesia tried to revive their ancient cultural ties lead when they signed their first cultural agreement in 1955. It was the first ever friendship treaty signed by Indonesia with foreign country. Since then India have been regularly engaged in Cultural Exchange Programme (CEP), facilitating inter institutional linkages and collaborative research programme between two countries, much of which is undertaken by Indian Council of Cultural Relation (ICCR). 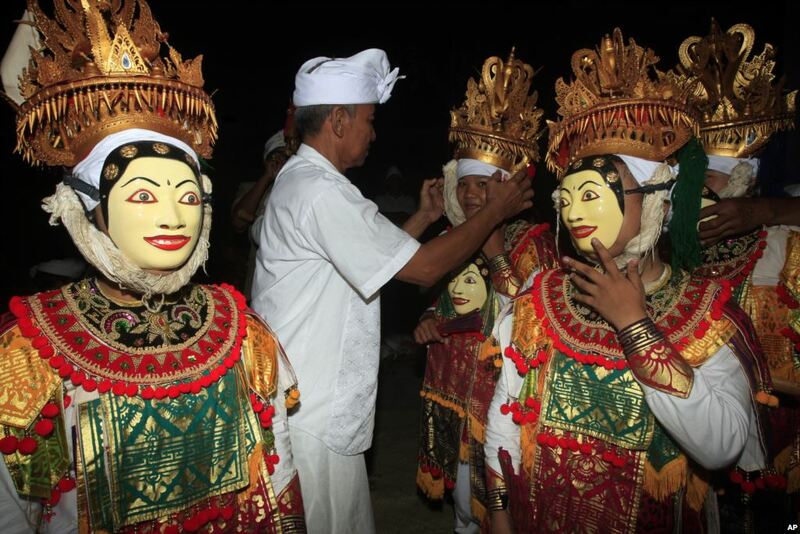 The Kalinga-Bali Yatra festival is one of the older tradition that remind of our ancient ties with Indonesia, which is performed in every household of Odisha in memory of those Sadhabapuas (Odia traders) who commence their maritime voyage to Bali, Java & Sumatra for trade on the auspicious day of Kartika Purnima, the full-moon day of the month Kartika (October-November) as per the Hindu calendar.The Indian Council of Cultural Affairs also set up of the Jawaharlal Nehru Indian Culture Centre (JNICC) in Jakarta in 1989 to conduct cultural activities in Jakarta, it holds regular classes of Indian classical music, Indian classical dances (Kathak and Bharatnatyam), Yoga, and also teaches Hindi and Tamil languages and a large number of Indonesians learn music, dance, yoga and Indian languages in JNICC. The regular cultural exchanges between two countries is the famous Ramayana Ballet troupe, which since 1961 regularly performs in Prambanan Hindu temple, the troupe from Bali also performed in India regularly like that in the International Ramayana Festival in Khajuraho, in December 2000. Another Agreement on Cultural Exchange Programme was signed in 2001-2003, during the visit of our former Prime Minister Atal Behari Vajpayee to Indonesia. In order to deepen the culture India holds The Festival of India in Indonesia was organised in the year 2009, with the theme “Friendship through Culture', where the exponents from India like Pandit Yasraj, Veena and Guitar Player Pandit Vishwa Mohan Bhatt, Tabla player Tanmoy Bose, dancer Anand Shankar Jayant, film and theatre director Rajat Kapoor, fashion designer Tarun Tahliani and Malani Ramani and chef Sanjiv Kapoor took part. JNICC, Jakarta showcased a cultural programme “ Slice of India” on 28th November 2012 at Atma Jaya University, Yogyakarta, and an photo exhibition depicting sixty years of bilateral relations between the two countries at Gadjah Mada University, one of the largest national universities in Yogyakarta. Recently “Sahabat Bharat’’or the “Festival of India in Indonesia’’ was launched by India on her 66th Republic Day in Indonesia to celebrate the age old friendship between them. The term “Sahabat” stands for ‘trustful, loyal and true friend’ and comprised of a varieties of cultural programme that includes classical and folk music and dance, cinema, food and fashion, education and literary fairs, business and trade delegations, art and artisans, paintings and sculptures. The festival opened with the performances of Pandit Vishwa Mohan Bhatt, a Grammy-winning Indian musician. India in this festival showcases her art and culture from various zones of India through the performances of regional art form like Gujarati Garba, Bhangra, Karakattam, Phoolon ki Holi, Chhau Dance etc. The Bhangra dance was performed by eleven member Bhangra troupe from Mohali, Punjab and also displayed Gatka-The Martial Art of Sikhs in Punjab, Artists perform folk music and dance called ‘Malawi Gidda’. The University of Muhammadiyah Jakarta joined the programme of Sahabat Bharat, by hosting ‘Karakattam’, a folk dance from the South Indian state of Tamil Nadu in its auditorium, where the dancers balanced the brass pot on their head and dance to the vibrant beats of drums and music of clarinet. The students of Muhammadiyah University presented the folk dances of Kalimantan and Bali and music performances based on Bandung Folk Music. The programme ended with ‘Durga and Kali’ Act performed by Karakattam Folk dancer which was engrossing with fabulous masks and costumes. The folk art form of Eastern part of India were showcased as performances of seventeen member troupe of Chhau dancers presented a dance drama based on Garuda and Vasuki legend along with masks dance drama based on the legends of Mahanayak Garuda, Garuda-Vahana and Narakasura Badh. The most interesting celebration of Indian culture in Indonesia is perhaps the celebration of Phoolon ki Holi. As a part of this celebration, folk dancers from the Indian city of Mathura perform Mayur or Peacock dance, which is based on the Hindu epic of Radha Krishna in the capital city of central Jakarta. India’s shadow leather puppetry shows the episodes of Mahabarata and Ramayana as a part of this festival. The Indian classical music along with the the bollywood and contemporary folk music, Indian film and television series (Mahabharata, Yodha Akbar etc) are also extremely popular among Indonesians. As a part of exhibition of the Festival of India, the National Council of Science Museum (NCSM), developed two travelling exhibitions ‘Life on the Silver screen: the fascinating story of Indian Cinema’ and ‘The Rise of Digital India’. An exhibition on Handicrafts and Handlooms were organised which demonstrate the skills of Indian Master Craftsmen along with the display of rich variety of Indian products. India hold a special exhibition on ‘Islamic Monuments on India and Indonesia’, at Istiqlal Mosque, which is the largest Mosque in South East Asia and an important symbol of Indonesia’s resurgence as the Mosque by design located between two churches and opposite the National Museum, in between which lies the Arjuna and Krishna Chariot, symbolises the pluralism in Indonesian Culture. India has also reached out to the large Buddhist community in Indonesia, by organising an exhibition on Buddha, designed by Nav Nalanda Vihara University under Ministry of Culture, India, as a part of Sahabat Festival in Indonesia. "Buddha Carika - In the footsteps of Shakyamuni Buddha" which comprises three dimensional images and replicas of the master pieces of Indian Art, artefacts, and important archaeological sites as well as photographs showing some of the sites of Buddhist Pilgrimages in India and provides information about Dhamma Yatra (Buddhist Pilgrimage) by depicting the arts and artefacts discovered from the numerous archaeological sites in India. The India-ASEAN painting exhibition “Merging Metaphors”, were part of painting exhibition created by a group of accomplished artists at India-ASEAN residency at Darjeeling in India in 2012. Another important part of this Festival of India in Indonesia, was the installation of a statue of Mahatma Gandhi, made by Indonesian artist Bambang Winaryo, at the House of Culture in West Sumatra Province, which was associated with the House of poetry dedicated to famous Indonesian Poet Taufiq Ismail. The statue faced towards Mount Marpi, one of the three volcanoes around the area of Padang Panjang in West Sumatra. Indonesia was among the first country, to support and co sponsor India’s resolution in U.N General Assembly to establish the summer solstice day of June 21 as International Day of Yoga. The Indonesians’ have enthusiastically participated in our International Yoga day. To commemorate the International Day of Yoga, Indian embassy in Indonesia, release special publication, in a ceremony visited by celebrities from both India and Indonesia, a comic book focussing on the India-Indonesia historic relationship, which shows the fondness of Indonesians’ towards India. The book “Travels through time’’ or as the Indonesian version “"Perjalanan Menelusuri Sejarah: Cerita Indonesia Dan India” focus on India-Indonesia relationship through different phases of history through their historical, social and cultural link, along with recent Act East Policy. Indonesia being India’s littoral State and its geostrategic proximity with India, the cultural ties can be seen as important instrument in bridging the gap and increases India’s influence in the region. The Festival of India in Indonesia showcased the talent of regional art and culture, can open a door of establishing centre of excellence in Art and Culture with joint collaboration with Indonesia, which would not only help them saving from the verge of extinction, but also to flourish. There are also prospects of collaboration in television and film industry. The cultural ties and collaboration between India and Indonesia is an ongoing process and not have any end. We have come a long way in cooperating and enhancing our cultural ties with Indonesia in modern days and hope for further enlargement of area of cooperation in future as a prospective partner of India. Ankita Chakraborty is a Mphil research fellow at Institute of Foreign Policy Studies (IFPS) at Calcutta University and project fellow at Center for Studies in International Relations and Development, Kolkata, INDIA. 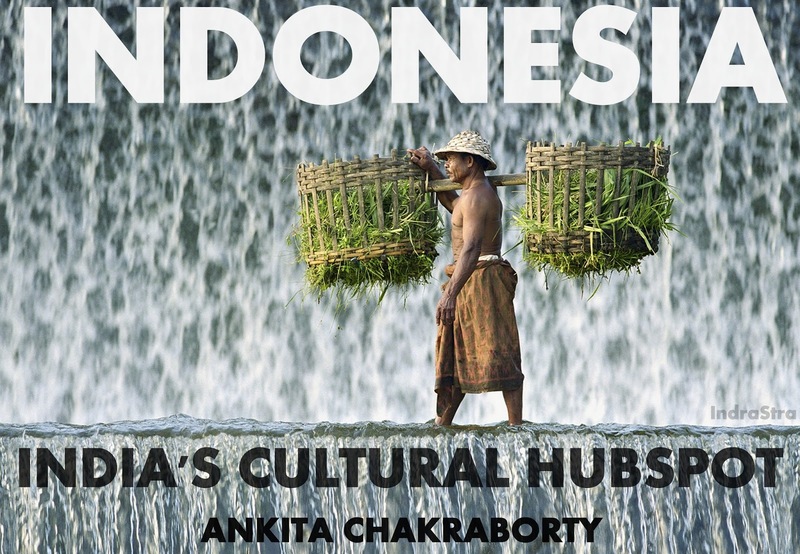 13.India Indonesia Relations, www.indianchamber.org, January 2015 (http://www.indianchamber.org/wp-content/uploads/2015/06/Indonesia_Jan_2015.pdf).